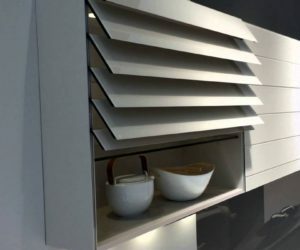 Modern home decor and contemporary decor are terms people use interchangeably when shopping for non-traditional furnishings. 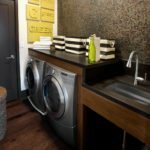 While the terms mean two very different things, most consumers are just looking fresh, modern decor and aren’t concerned about strict definitions. 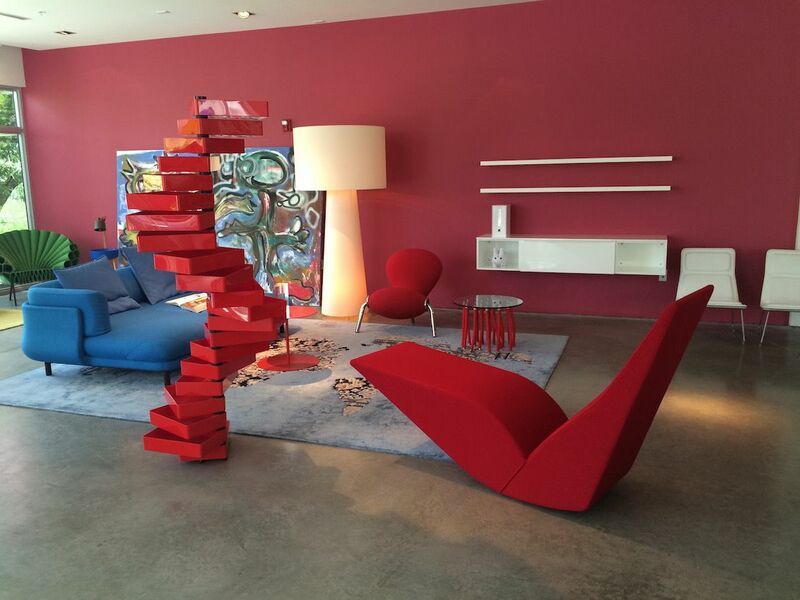 This modern grouping includes the famous Revolving Cabinet by Shiro Kuramata, as well as the red Embryo Chair, green Peacock chair, Org table, and Peg sofa. 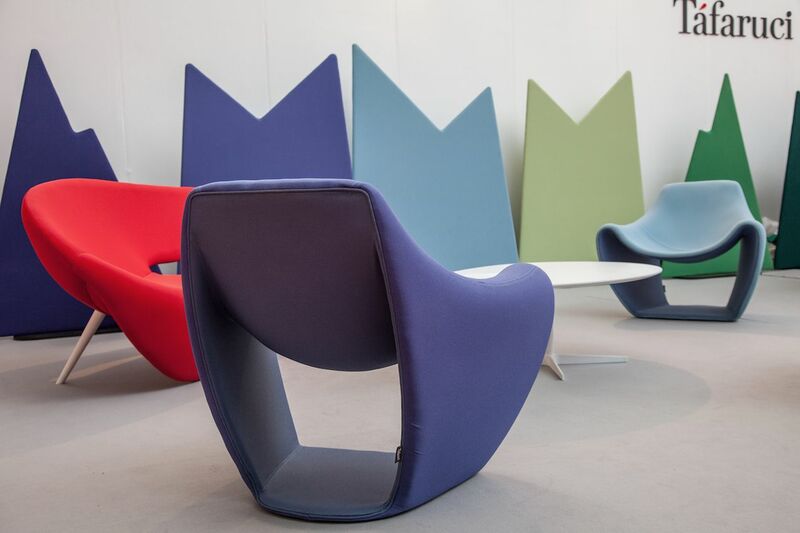 The Peacock Chair by Dror Bershetrit for Capellini is available in a variety of colors. 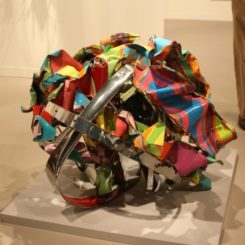 Some pieces from the modern era — technically from the 1920’s through the 1950’s — are iconic and recognizable, like pieces by Saarinen or Eames. 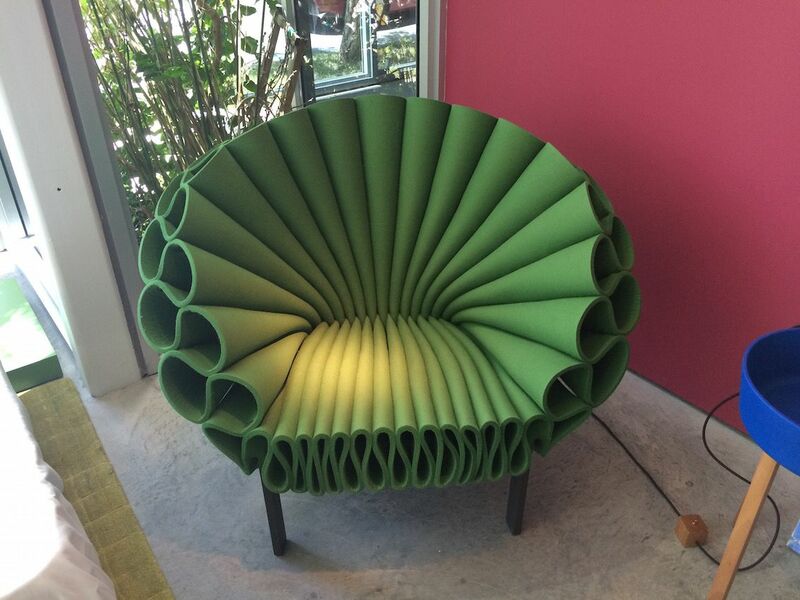 The green Peacock Chair by Dror Bershetrit is technically a contemporary piece, but is also modern in a number of ways. 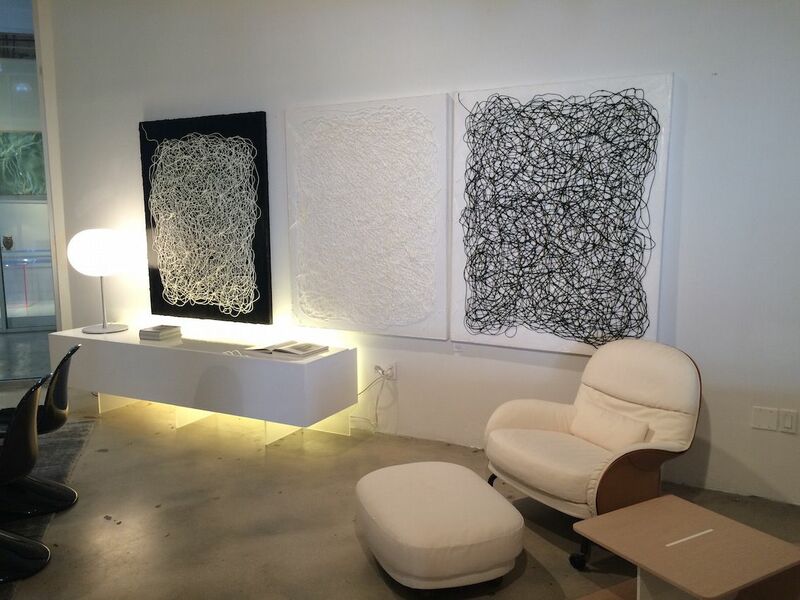 These Capellini pieces are most definitely modern, but could easily be at home in an eclectic grouping. 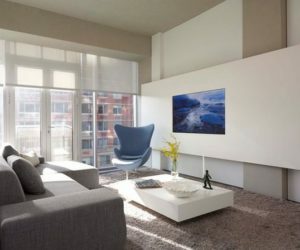 What makes these chairs and sofas modern home decor is their elevation off the floor and lack of a skirt or ruffle, which is found on traditional sofas and chairs. 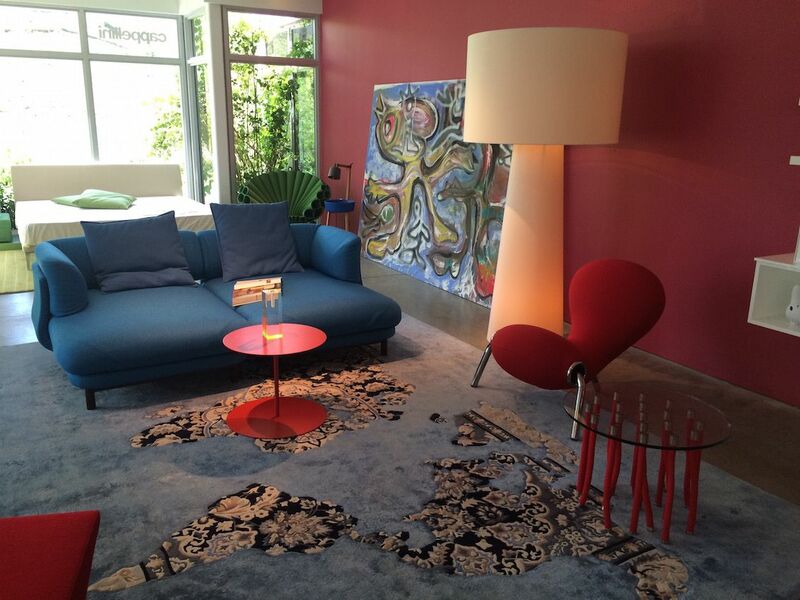 Tafaruci’s Yume sofa by Daniel Rode and Fabio Flora’s Lunar table. 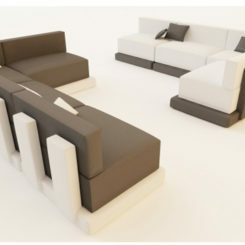 The sensuous curves of the design are a soft counterpoint to the table and other modern elements. 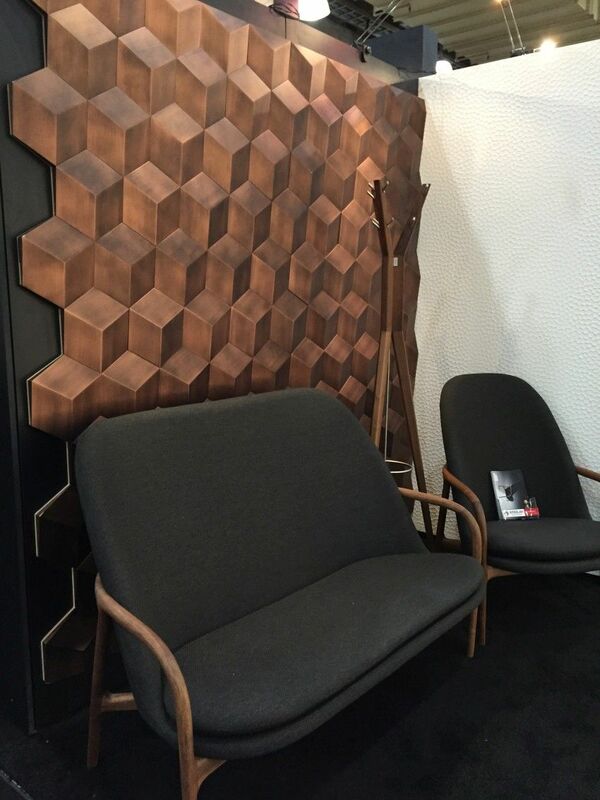 Tafaruci’s Samsara armchair is at the same time a slight but substantial seating piece. 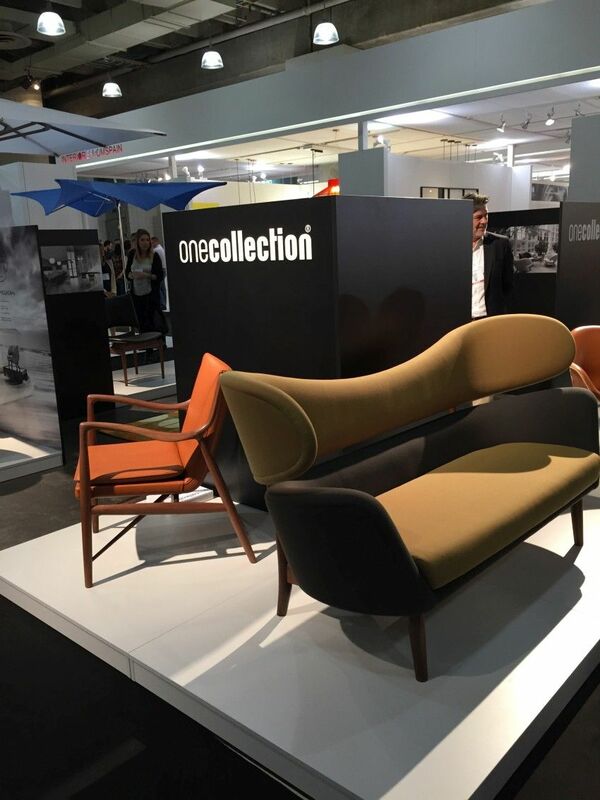 Onecollection’s Baker Sofa and 45 Chair. The upholstered Baker sofa is divided in two parts, which are supported by an elegant and light wood frame. 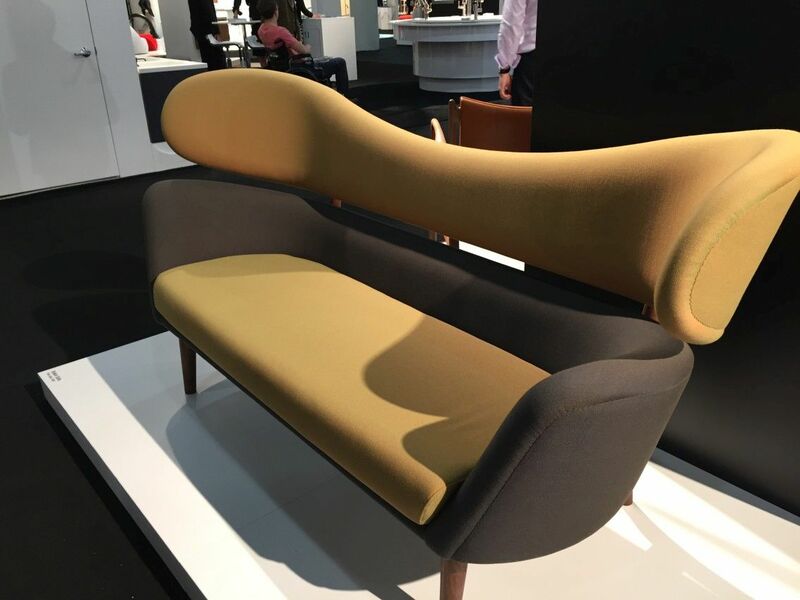 The two-part construction and sinuous lines of the Baker sofa make the large and substantial piece seem light. Similarly, the wooden frame of this tall sofa keeps the piece fresh and unimposing, making it suitable for any modern home decor style. 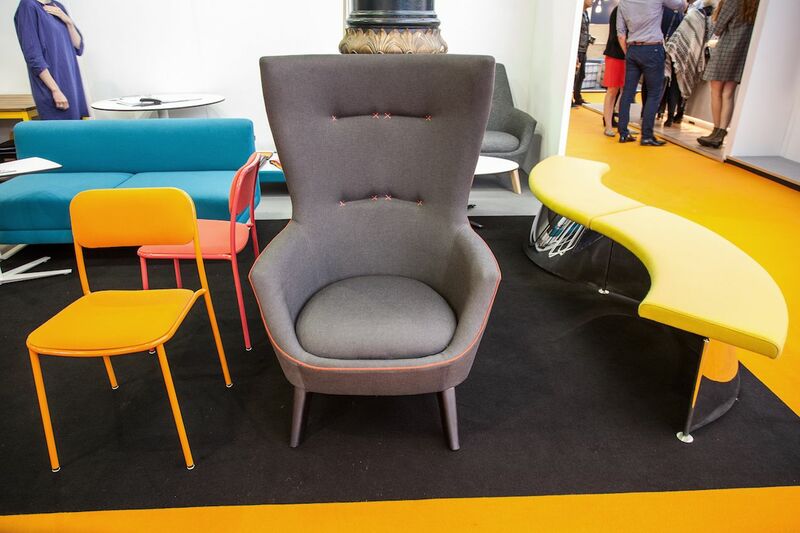 The Trident armchair and small sofa are designed by Simon Pengelly and presented by Joined and jointed. 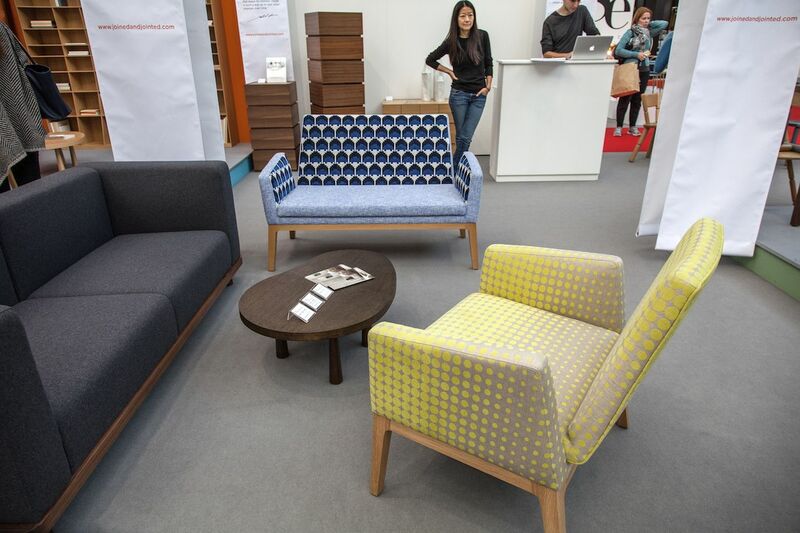 The retro fabric on these chairs add to their bold feel. 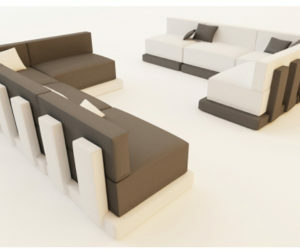 The chairs and the sofa are from joinedandjointed.com, a global collective of like-minded designers. The seat and back components of the Trident armchair are a separate module encapsulated within the arms. The Concave bookcase is a focal piece that would bring a modern home decor feel to any room while easily blending with other design styles. 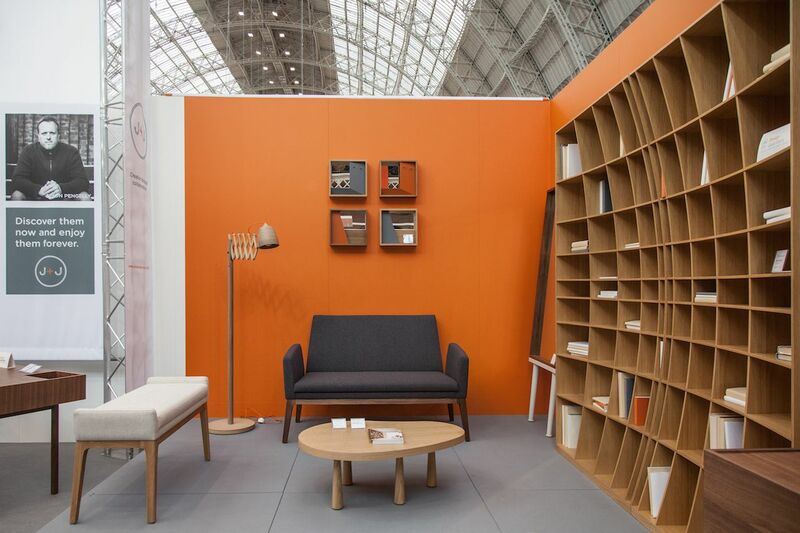 Here the small Trident sofa and the Trident bench are mixed with the bookcase, also designed by Penally. 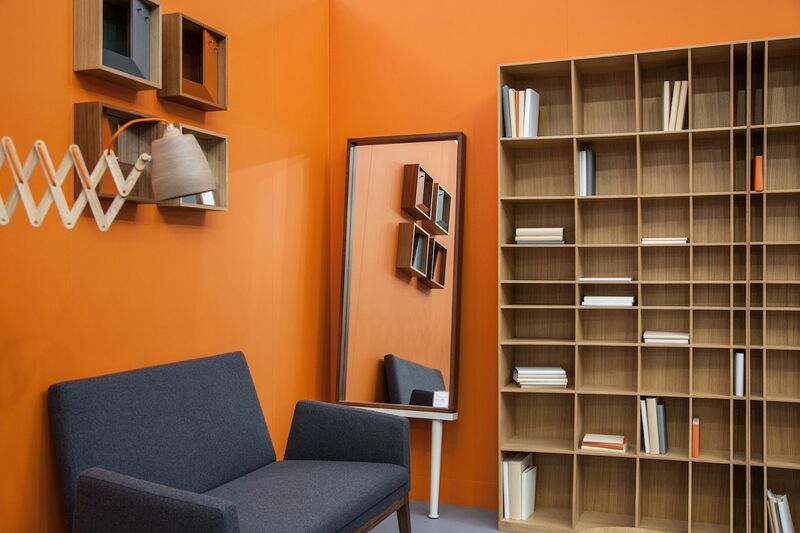 The large unit is a “response to our need for bookcases to house a plethora of items that differ vastly in shape and size.” It is made in two halves and can be used separately or together as one unit. 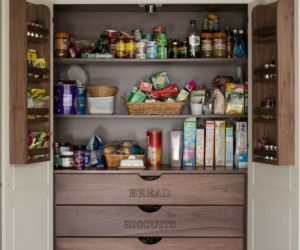 Here’s a view that shows the various sized shelving spaces, which is such an unusual feature of this cabinet. 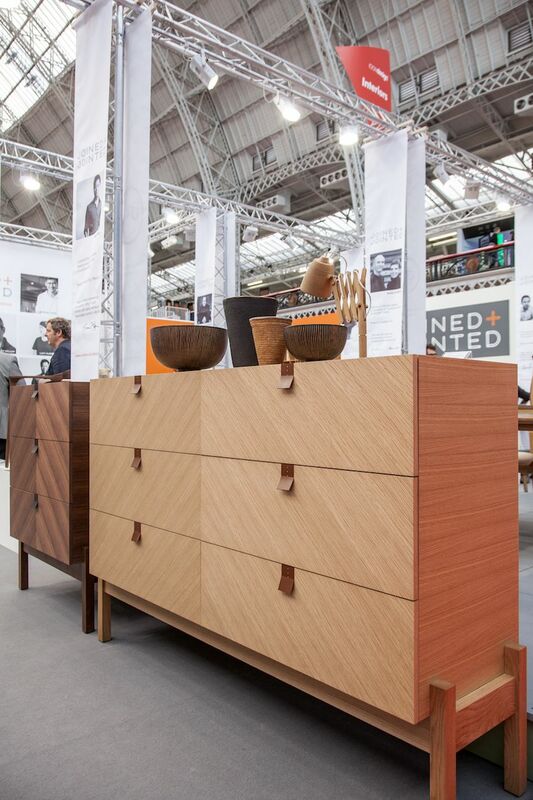 A stunning chest of drawers, designed by Lucy Kurrein, is from the Aponi Collection. Aponi is the Native American word for ‘butterfly’, and the collection features “a distinctive wood grain pattern that echoes the symmetry of a butterfly’s wings.” The unique piece features leather handles fixed with brass pins. 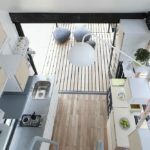 It is yet another example of modern home decor that pairs well with many design styles. 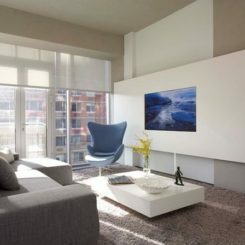 The modern art and angular lines of the credenza underneath are a counterpoint to the upholstered chair and ottoman. This setting features minimalist pieces like the credenza and table paired with the upholstered chair and ottoman, which have a softer feel. 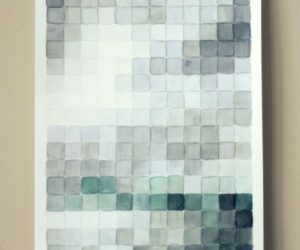 It’s easy to see how modern home decor pieces like these could pair with favorites you already own. Tom Dixon’s Y Chair and Screw Table. 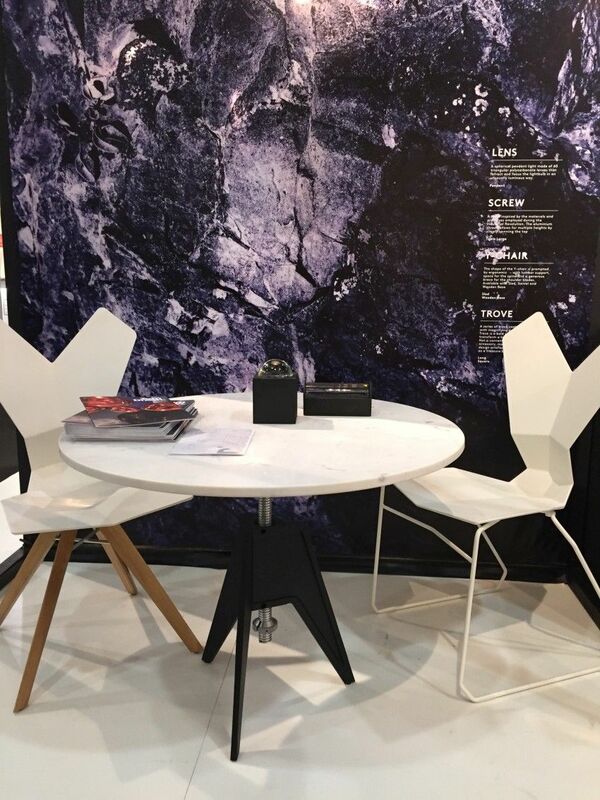 The Y Chair from Tom Dixon is a perfect companion for his Screw Table, a basic piece with a touch of whimsy. 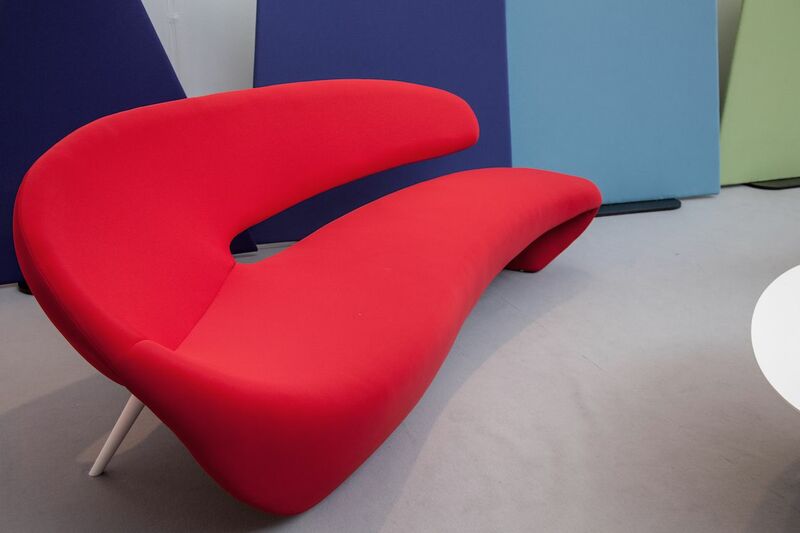 The ergonomic chair has an eye-catching design. 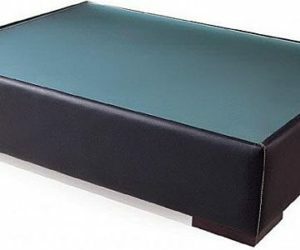 According to Tomdixon, it is injection molded in glass-reinforced nylon, making the material recyclable, fatigue resistant and shock absorbent. The table is “inspired by the materials and processes employed during the Industrial Revolution.” The cast iron tripod base is topped with white marble, which you can spin to adjust the table to the height you want. 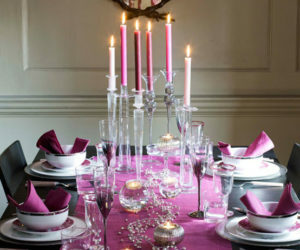 Together, it is a modern home decor set that is distinctive and highly functional. Occasional chairs like these are useful when you want to add a touch of modern home decor to your living space. Whether it is a distinctive armchair or bench, or a basic dining chair, changing out your seating is a quick way to freshen your home’s design. 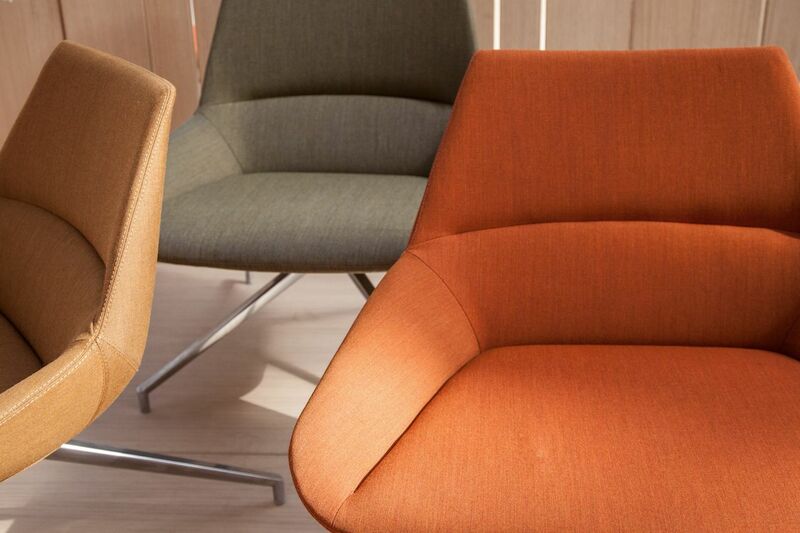 The modern feel and earth tones of these swivel chairs make them easy to mix with more traditional pieces. An updated version of a classic swivel chair like this would be at home in a family room or a home office. Big, blue and bold, this chair will dominate any space. Modern decor is not without pieces that will definitely start conversations. This large, blue, throne-like chair with ottoman would be the perfect anchor for a large space with a high ceiling. 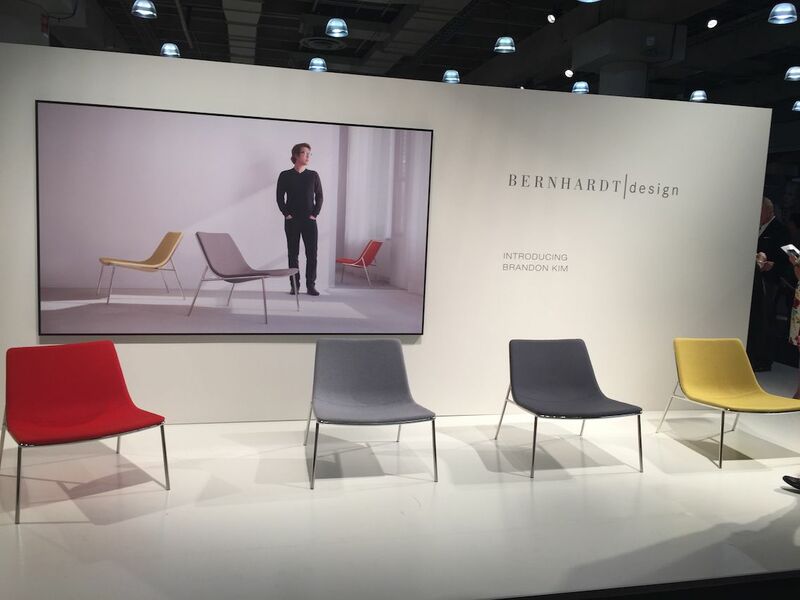 Bernhardt ‘s profile of Kim says that he believes that good design is not only physically beautiful but also emotionally connected. 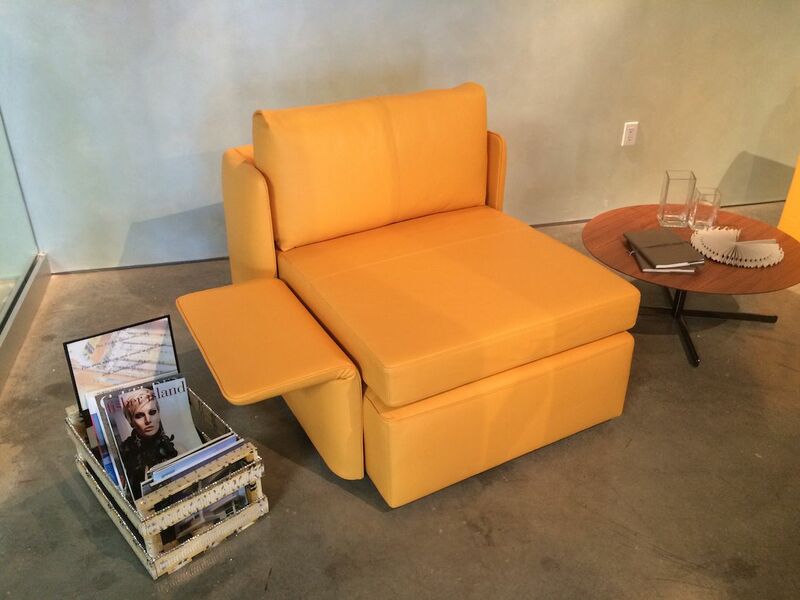 The multiple functions of this chair by Poltrona Frau make it a go-to piece for any room. Since functionality is a primary focus of modern decor, the Naidei by Poltrona Frau is not just an armchair — it’s also a bed. A simple concealed mechanism allows you to transform the armchair into a bed. 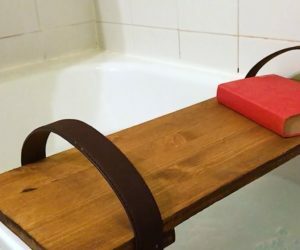 It’s also available in a Daybed version. Sleek and clean lined, but with great purpose. 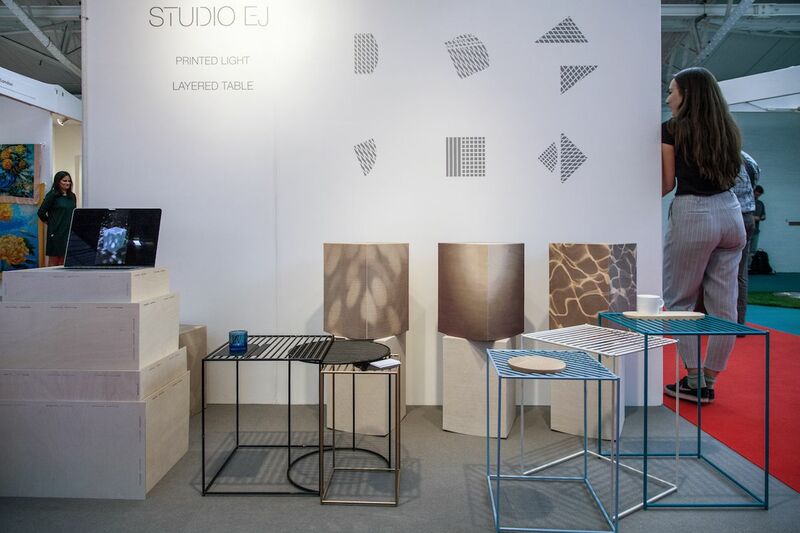 Studio EJ’s Layered Tables are available in aluminum and wood. 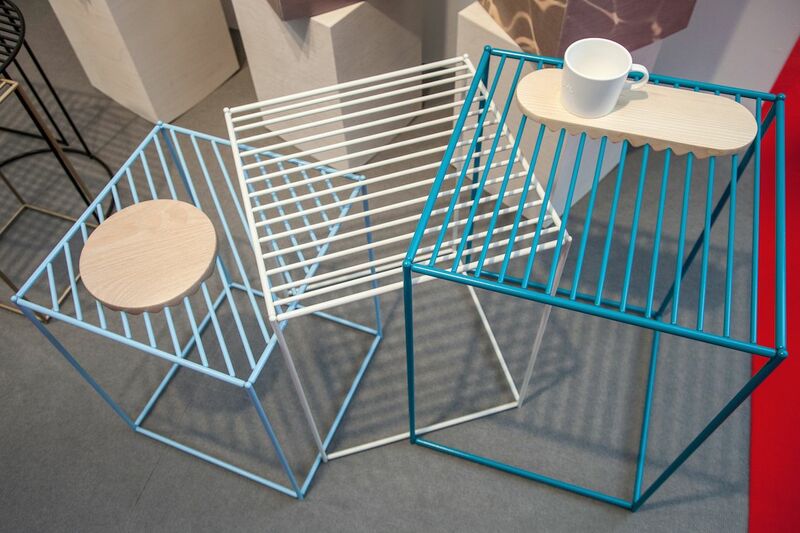 EJ Pak, of Studio EJ created these Layered Tables, which are a nest of three side tables. The wire frame table tops create different patterns when layered. Small plates with a zigzag-bottom are added to make the tables functional for for small items. Each table has a single-direction design that when layered creates myriad different looks. 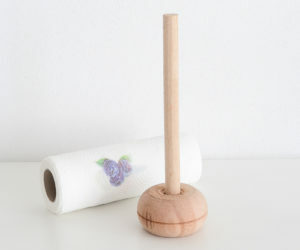 By adding a circular option, the nature of the design possibilities changes. High gloss, a neutral palette infused with a bold pop of color make these pieces special. 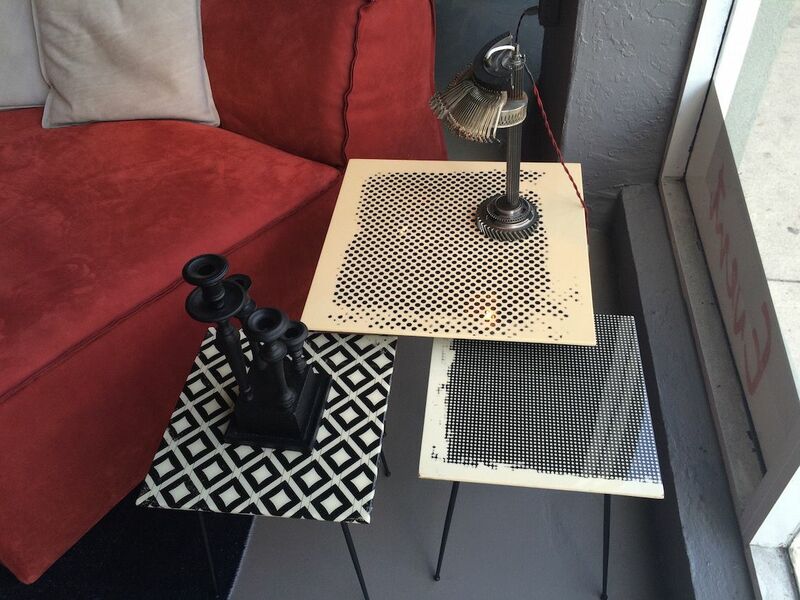 Choosing tables with patterns is another way to add a modern touch to your living space. These neutral tables have a pop of color and come in different sizes. 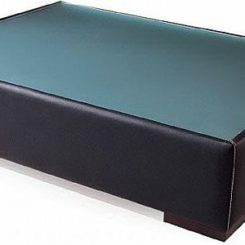 They could be use individually or grouped like this as a multi-piece coffee table. 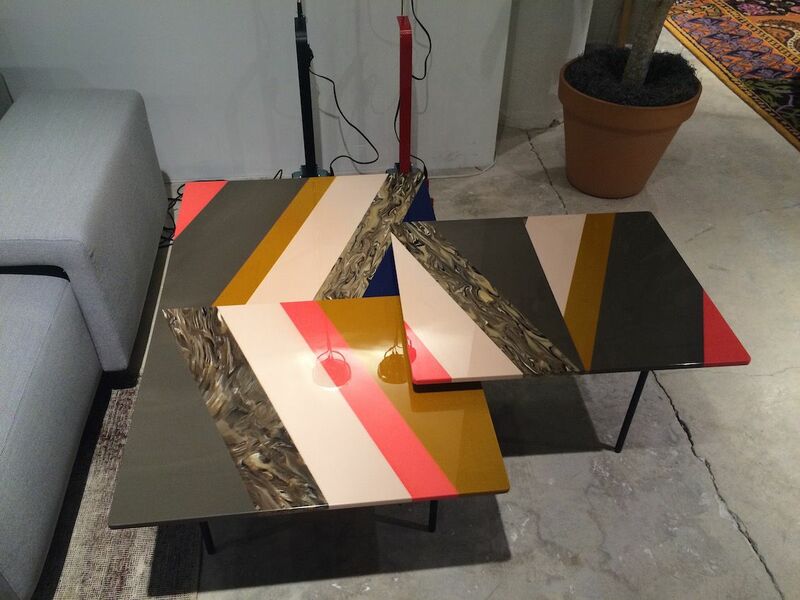 Bold graphic designs printed on small tables are eye-catching, and even more interesting when grouped. These side tables with graphic tops and minimalist metal legs are a modern home decor grouping that would be functional in many situations. They are available at Internum. 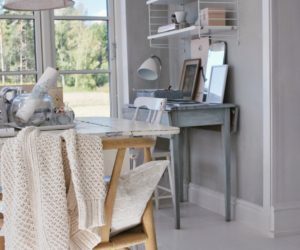 Your home office is a great place to start introducing modern home decor. The clean lines and lack of clutter in modern office design can help you focus and be productive. 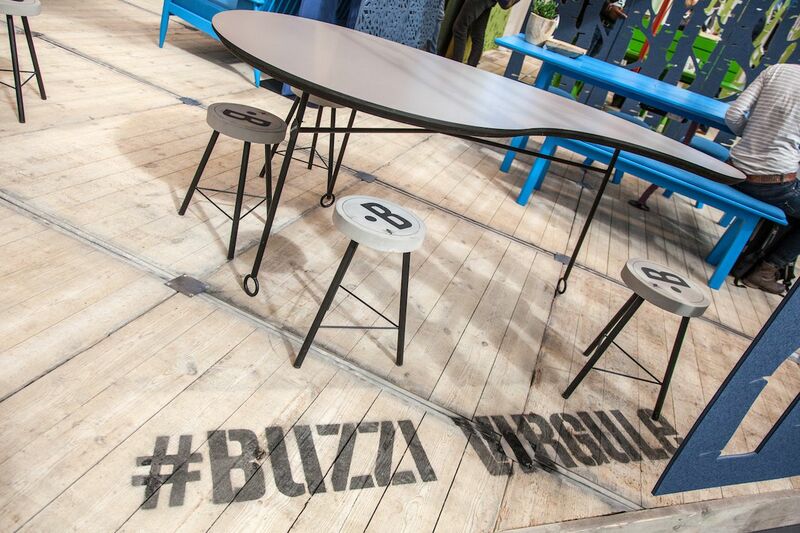 The Buzzi Virgule by Belgian company Buzzispace is part art, part functional work table. 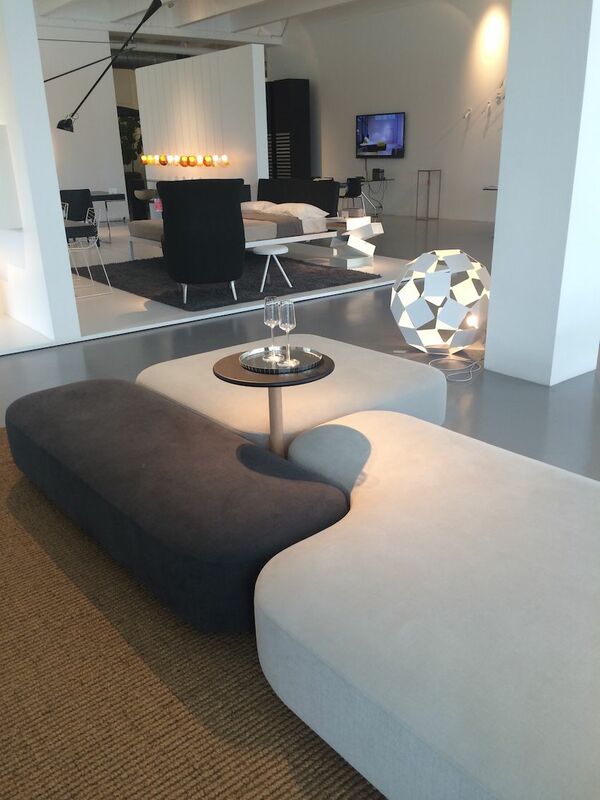 The Common bench system is available at Luminaire. If you entertain guests frequently, a modern piece like the Common Bench by Naoto Fukasawa is a great choice for your space. 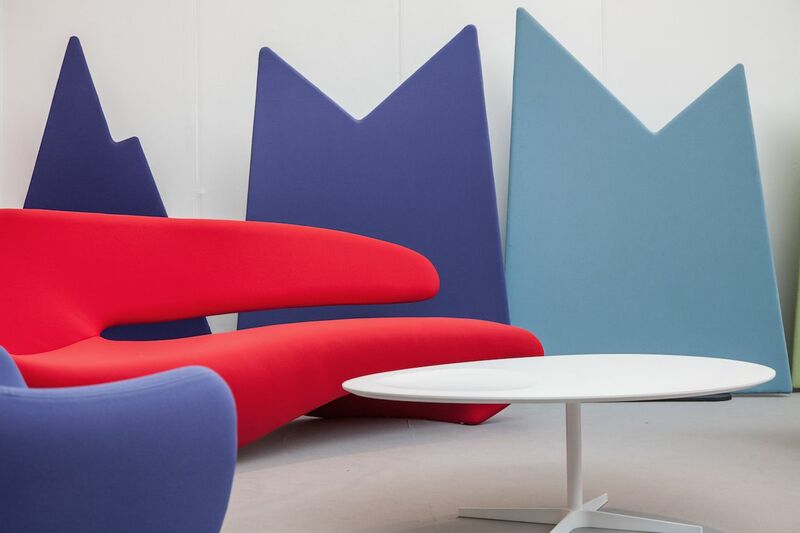 The modular system can provide more seating when separated and serve as a focal point when grouped together. 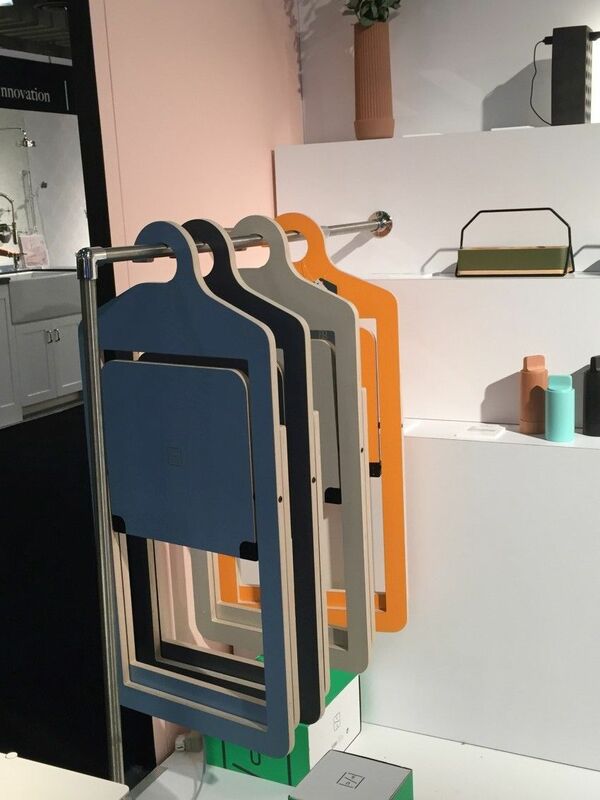 Amazingly useful and storable, the folding chairs are visually interesting even when folded . Speaking of functionality, these chairs are modern and space-saving. A far cry from your parents’ folding chairs, Hanger Chairs by Philippe Malouin’s are part of the Canadian design brand Umbra. 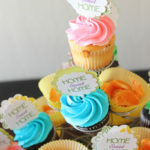 Extra seating for guests does not have to be ugly or clunky when these colorful options are available. 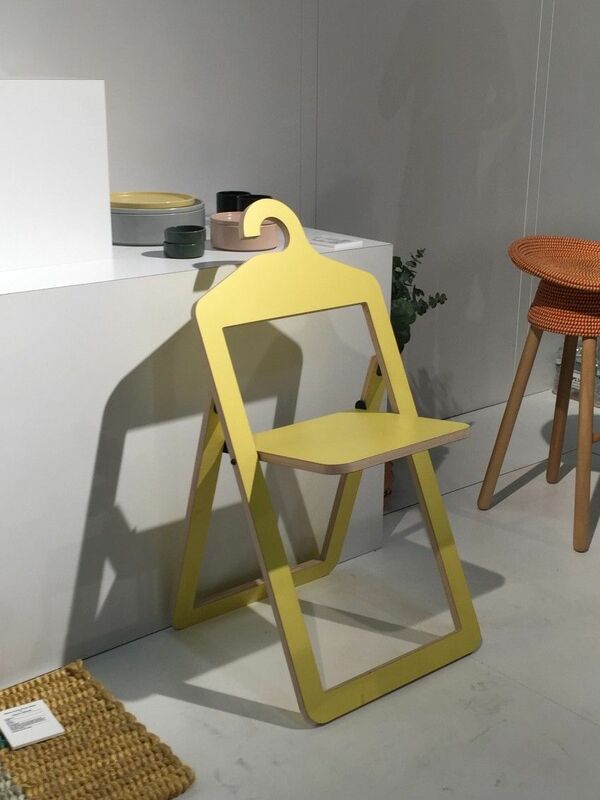 The modern home decor version of old-fashioned folding chairs is cute and useful. 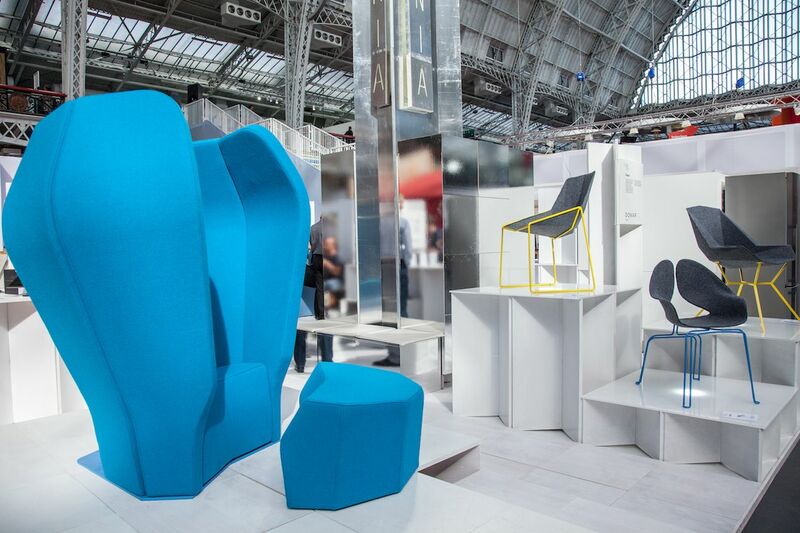 Device-charging chairs by Design on Technology. 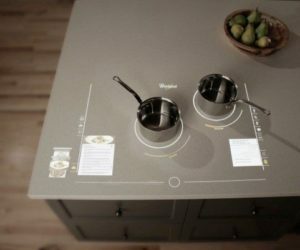 These days you can’t discuss modern functionality without including technology. 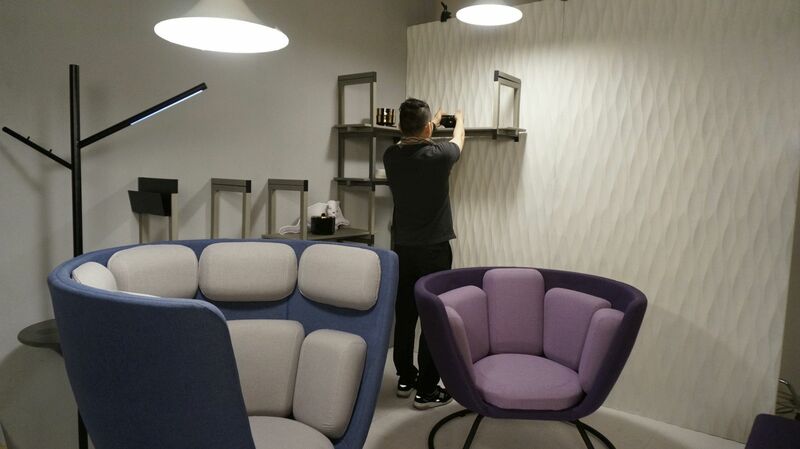 Korean company Design on Technology produces furniture that charges your smartphone. 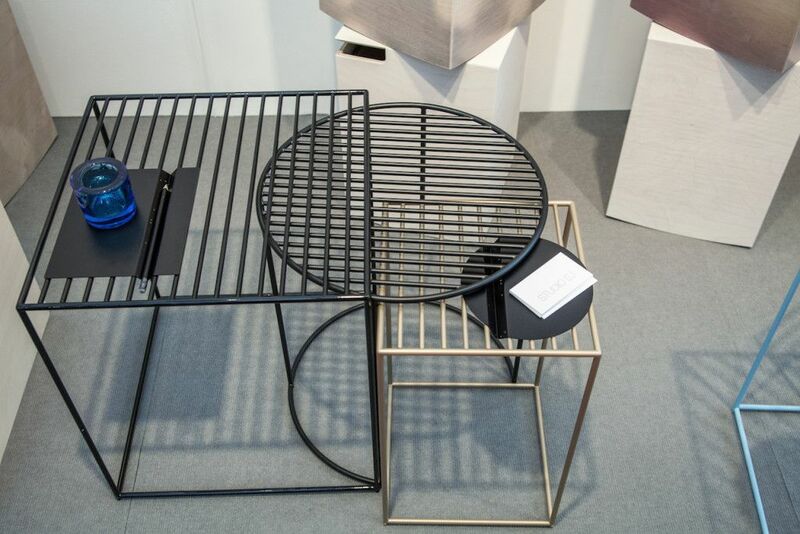 The designs embed wireless charging modules into tables, shelves and chairs. No cords or plugs required to charge your phone with these attractive wireless charging tables. 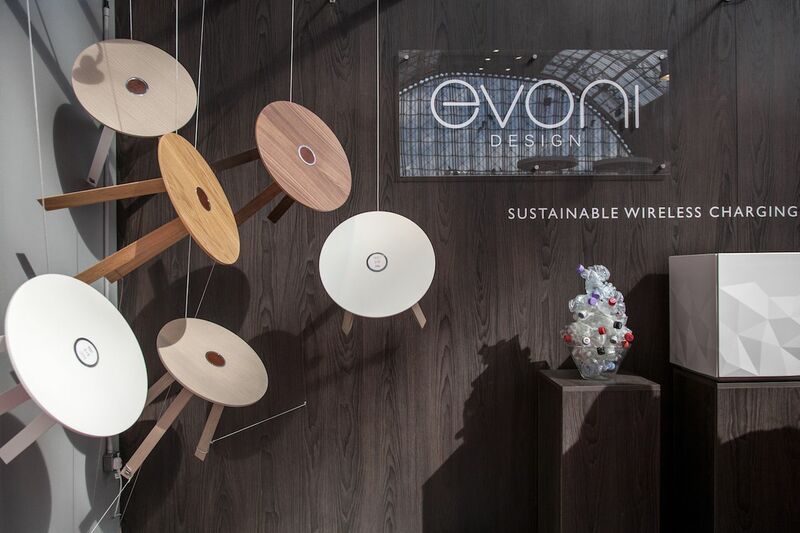 Evoni Design also offers wireless sustainable furniture that they call “Chill and Charge.” The collection of unique bedside and coffee tables are embedded with wireless charging technology. 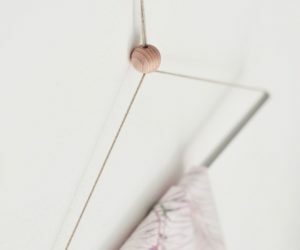 The simple designs are perfect pieces of modern home decor for any style. 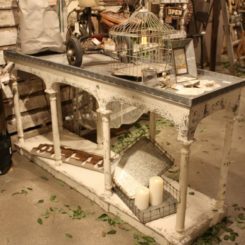 Indoors or out, the industrial look of this furniture can work in your space. 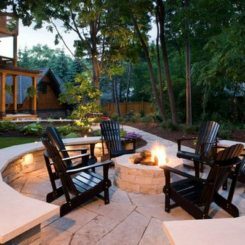 Concrete has become increasingly common in modern home decor. 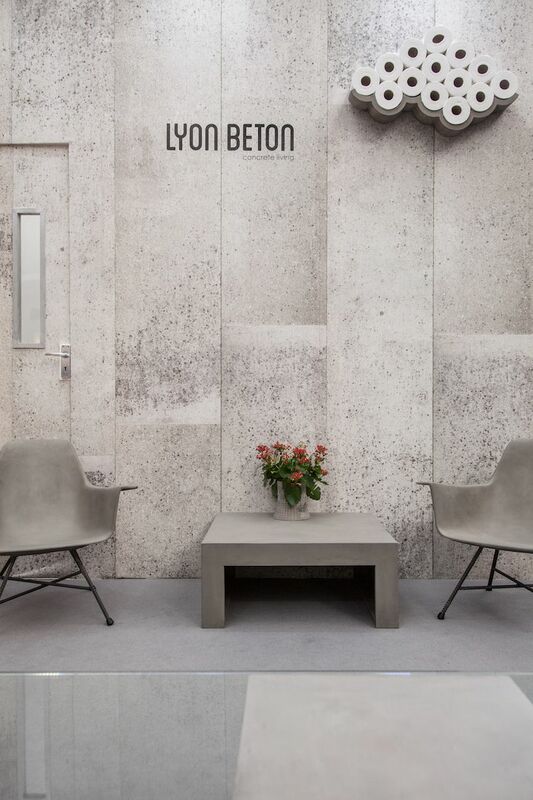 Lyon Beton manufactures unique concrete furniture that uses fibers and metal wire, lightening the typical weight of concrete items. 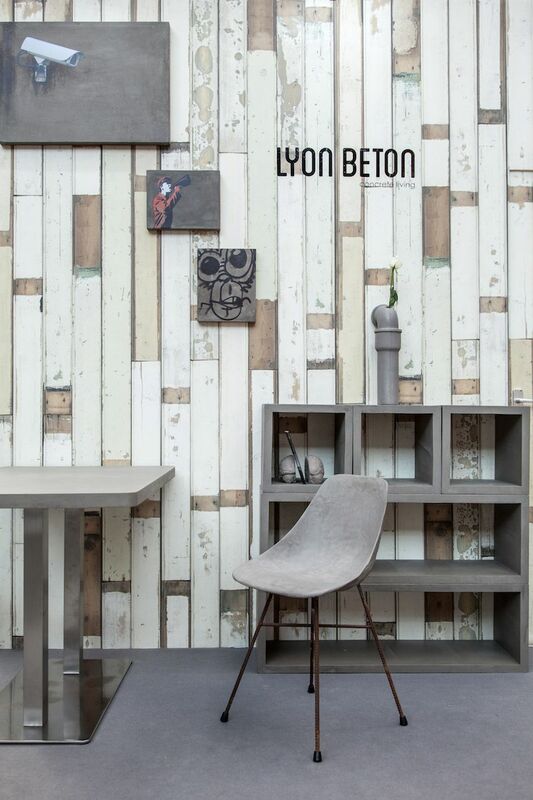 The salvaged wood wall paired with these pieces shows how concrete can work in a more rustic space. 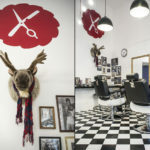 Suitable for indoors or out, the collections include tables, chairs and accessories. The spare, industrial look of these pieces is a great starting point for designing a room that combines modern home decor with your other favorite pieces. No matter what style is dominant in your home, there’s a way in incorporate fresh, modern decor pieces in your living space. 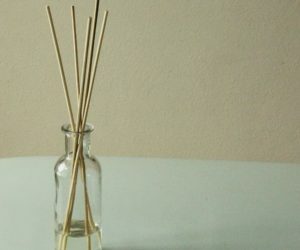 Whether you swap out an occasional table or incorporate a larger piece of furniture, there’s a way to make modern home decor items work for you.